This tap-only Deschutes beer has been in the back of my mind for quite some time. A couple of friends of Bend Wild tipped us off on this hoppy, but approachable IPA crafted by Cam O,Connor Of Deschutes’ PDX pub. The friends of Bend Wild know that we are suckers for hoppy beers and they urged us to get to the Deschutes Pub in Portland and try what they considered to be an exceptional beer. They were right. Cam O,Connor nailed this one. Because this was a pub tasting, we didn’t totally geek out and score this beer right on the bar but you’ll get a few notes and a big thumbs up from us. This beauty pours with an ample off-white head and a light amber color. That’s is where the average part of this beer ends. The nose is exquisite. The “Citra hop” mentioned in the Deschutes literature seems to be responsible for a wonderful citrusy aroma. It bursts with sweet grapefruit and dry tangerine. Different from Bridgeport IPA’s nose but equally citrusy. The body is full and flavorful and finely balanced. Lots of late hop flavor submit to a lightly bitter finish. 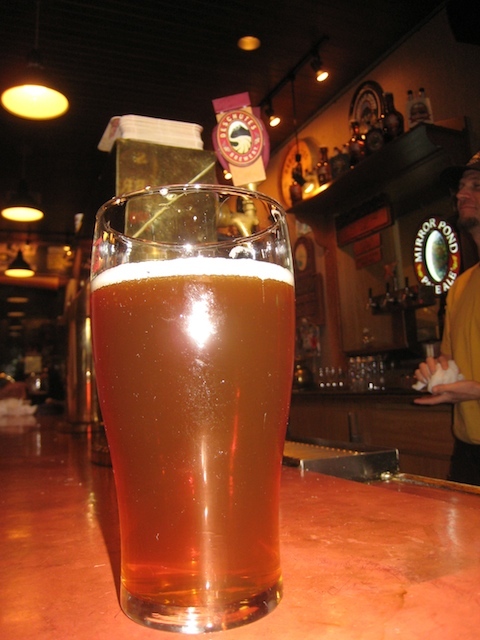 We had this beauty of a beer at Bend’s Deschutes Pub and we hope to see much more of it in Bend. Congrats to Cam O,Connor and and PDX Deschutes Crew. They’ve been on fire lately and this appears to be their crowning achievement thus far.